Your source for tips and engaging with men on healthy relationships, anti-oppression, the prevention of violence, leading healthy lifestyles, and more. Weren’t able to make it to our June symposium in Calgary? Watch the video! What Is The Alberta Men's Survey? When you think ‘Badass’ what do you think of? If you are like most, you conjure up images of Chuck Norris, Arnold Schwarzenegger, Pink, George St. Pierre or Rhonda Rousey. There is a real attraction to ‘Badass’. Let’s face it, we all want to be a little ‘Badass’. We asked 2214 men what being a man means to them. These are some of their answers. Search for resources, programs, activities, and organizations that support men and male-identified individuals in your community. Know of a group we are missing? Message info@albertamen.com with any suggestions. RespondEnt | what types of supports and services would men use? 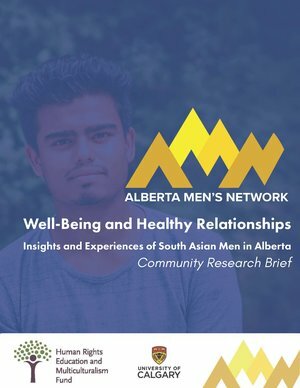 he Alberta Men's Network was formed out of the collaborative, community based research of the Alberta Men’s Survey (AMS). The AMS was created by over 70 men and women and over 18 organizations committed to enhancing men’s roles in violence prevention.